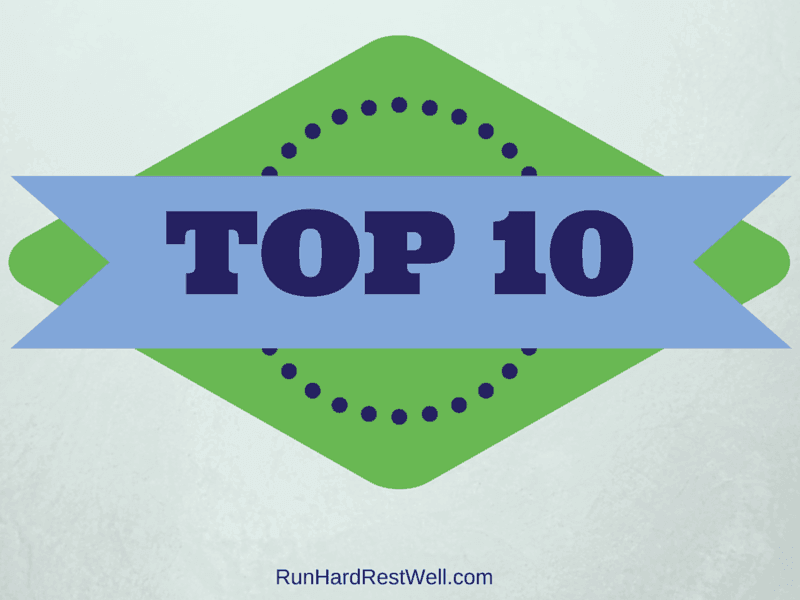 The best top 10 of 2014 • Run Hard. Rest Well. 10) Board meeting – We met for the first time in November to discuss plans and goals for the coming year. The Lord has brought together a dedicated group who believes in the RHRW purpose as much as I do. 9) Advisory team – I have been so blessed by the enthusiasm of a select group of professionals who have come along side me to strengthen the RHRW message with their insights and expertise in the medical, legal, non-profit and financial fields. 8) 501c3 – The learning curve was high on this one! But we persevered and have conquered the mountain of paperwork in order to gain non-profit status! Praise the Lord! 7) Business plan – We received the tremendous gift of a preliminary business plan from an MBA group in Chicago. This has guided and advised many steps in our launch season. 6) Donations – RHRW was blessed to receive $18,000 via the estate of one of our earliest supporters. While he is dearly missed, the magnitude of his support has carried us through much of this year. 5) Volunteers – A small but loyal core of volunteers has seen RHRW through the large and small tasks of the past couple years, all the way up to this critical time of launching into an official ministry. We wouldn’t be where we are today without many incredible gifts of time and talent. 4) Networking – Each week, it seems, God grants me the gift of another conversation with someone who is passionate about the topic of rest, gifted in the science of rest, or desperately in need of rest. These conversations are invigorating and validating to the message of RHRW. 3) Consulting – We have been on both the giving and receiving ends of some excellent consultations; sharing our message with ministries and businesses who are ready for change and learning from seasoned professionals has brought much clarity as we organize and prepare to launch. 2) Clients – Requests are beginning to come in for session and retreat dates in 2015. We’re excited to move into the beta phase of our Vantage Point workshop. 1) You – Our faithful friends and readers. Your engagement on this blog encourages me when days are long and words come slow. Thank you for reading. Thank you for your comments. Thank you for sharing. We could not do this without you. Looking back, it’s clear God is moving through Run Hard. Rest Well. Just as we are reminded of His goodness, so too are we reminded of what’s at stake. Leaders are running hard while rest is becoming a faint memory. But that’s exactly what makes our work so exciting! Friends, the time is right for Run Hard. Rest Well. Weary people in every field and walk of life are ready, searching for a way to work, live and rest more fully. Are you one of them? How is your running and resting these days? For so many people today, business leaders, pastors, parents, teachers, ministry directors, and more, the demands are mounting and rest is a forgotten art. But it doesn’t have to be this way. 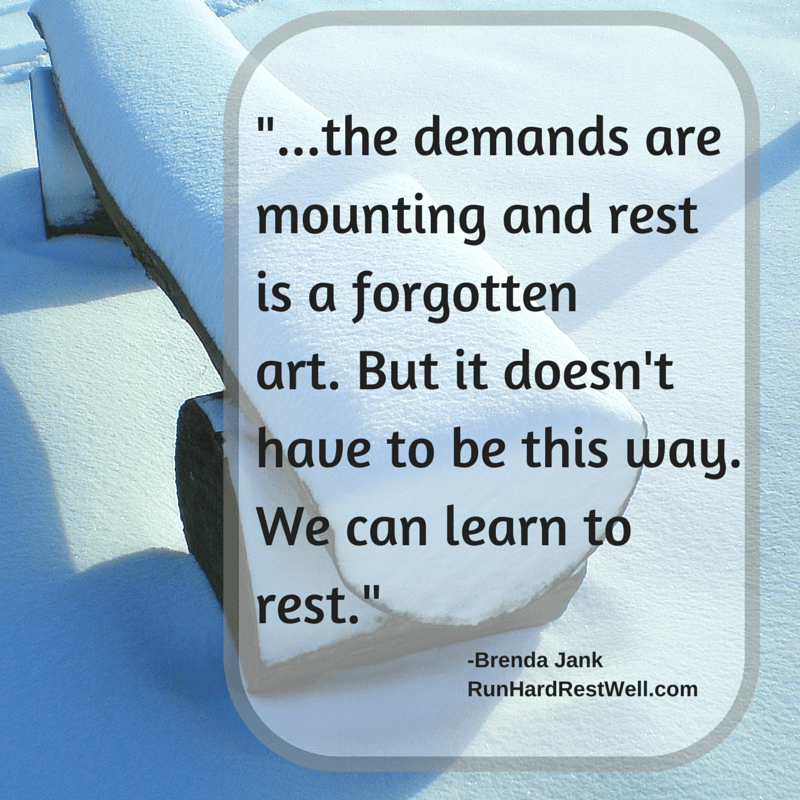 We can learn to rest. We look forward with great anticipation to 2015 carrying with us the weight of this reality. Pray. Your prayers have carried me, my family and the RHRW message to the foot of the Throne for years. That must continue. Share. Tell your friends. Send them to our website or find us on Facebook and share our messages. The more who know the more we grow! Give. As a non-profit ministry your gift to RHRW is tax deductible. If you’re still pondering your year-end giving, may I humbly propose that you take advantage of a recent matching donation and make a donation today to help us launch strong? Your financial gift right now will be doubled, helping “me” become “we” so this message can go where God chooses to take it. Did you know that $99 will help us teach one weary runner to rest more fully? Imagine the businesses, ministries, families, lives that can be restored if each person reading this blog were to partner with us to bring the RHRW message to at least one leader! Friends, the momentum of our message can’t go forward without your support. We know that there are many ways for you to donate your resources and we don’t take that lightly. We are grateful for your support, no matter what form it takes. Won’t you prayerfully consider joining our cause? What does your year-end “Top 10” list look like? I don’t know that I can do a top ten. God has been working in gentle, quiet ways. His Presence has been felt and bondages have been broken. This is a season of rest….no running for this old girl. But God is on the throne of my heart and I am becoming more comfortable with Him there. I love the friends I’ve made.